This is so simple, wish I knew it earlier. Start a Video. Applies to long videos. What you is YouTube Video Quick Review. There are no bookmarks in the Video itself nor is there a TOC in the description. What do you do? Just type any number from 1 to 9. It is like saying go to 10% of the video timeline, 20% and so on till 90%. It does NOT work with keypad numbers. Only the number keys on top of the characters. I publish lot of videos on YouTube. My speed of speaking may not match your speed of learning or imbibing the content. Often you may not understand my accent properly. The solution is to change the YouTube Video Speed – decrease it or increase it. Click on the gear icon (also called sprocket icon) and choose Speed. Increase it if you feel I am going very slow. Decrease it if you find my narration too fast for you to grasp. There is no click – only touch. Therefore Right Click on mobile is not available. At least not in the way we are used to on Windows. Here are various equivalent methods. Small Post. But very useful. Shows how YouTube OneNote integration works. Office 365 Consumption involves quantification of product specific usage. Microsoft as well as customers monitor Office 365 Consumption and use it to estimate ROI as well as efficiency gains from Office 365. Often, teams a pre-defined increase in utilization as a KRA which is linked to salary / bonus. This article shows the pitfalls of using the Active Users chart to measure Office 365 Consumption. This applies to O365 E3 or above. This is a common confusion. Let me clarify it once and for all. This article shows you the thought process, NOT step by step instructions. If you are looking for a quick fix, this article is NOT for you. Read on to understand the thought process involved in deciding whether to create Calendar or Task. Everyone who knows about OneDrive wants to use it. But the Sync feature has lot of issues. What is the OneDrive Sync Solution? I agree that you really don’t care. It should update automatically. Unfortunately it is not that simple. You have to put extra effort into it. And trust me, it is worth the effort. Here is how you find out if you have the latest version of OneDrive sync tool on your laptop and how to upgrade it, if required. 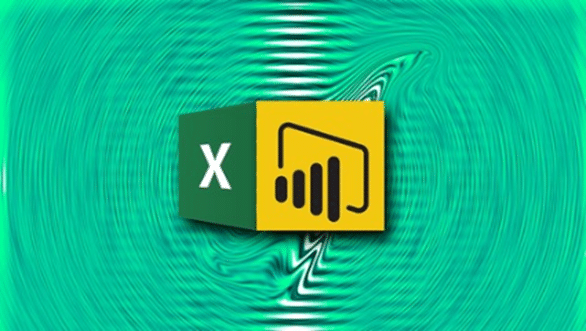 As you know, I recently published a Power BI Desktop course on Udemy. A few days ago, I received a message from a potential student, Andrew, asking whether taking this course would help him. He wanted to know why Excel-based Power BI is not covered in my course.